Ever wanted to have a go at rowing but felt intimidated or even been turned away from a rowing club? We’ll bridge the gap and make your experience enjoyable, tailoring your rowing for you! It’s supposed to be fun after all! We offer various membership opportunities for Juniors and Seniors! On the River Thames between Henley and Reading. You’re very welcome to row with us, whether you are an old hand, or you’ve never set foot in a boat. All our coaches hold British Rowing qualifications, so they know how to encourage rowers to enjoy performing well, while staying safe. Some of us row competitively on occasion, but you may prefer to simply enjoy a gentle workout watching the riverside wildlife with your new friends! Our connection with BR helps to reassure you that we follow all their safety standards. We welcome newcomers to rowing and experiencied oarsmen and women. The club is professionally run with high quality equipment. If you are looking to get in to rowing or perhaps do not want to join a larger club, this could be for you. Our Junior Membership is for girls and boys betwween 11 and 18. We offer mid week evenings and Saturday mornings training on the water or dry training if conditions dictate. Our standard adult sessions are on Sunday Mornings from 8.30am. We encourage new people and have regular introductory courses. It’s never too late to learn! We offer Shiplake College members of staff discounted membership prices and encourage both experienced rowers and newcomers to come and enjoy the sport with us. 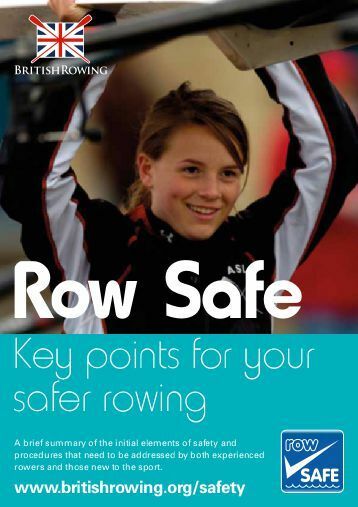 Shiplake Rowing Club is a professionally run club which is fully insured and is registered with British Rowing and adopts the “Row Safe” Scheme for it’s Junior and Adult Members. Many people learn to row fine boats at school or college, but even more don’t get that opportunity. We have a strong junior section for kids to learn and develop with qualified coaches, and we also encourage adults who simply want to get out on the water. Getting access to a rowing club can sometmes be daunting especially if you do not want to be an elite athelete. We feel we have the right blend and actively encourage people who might not want the intimidation of a larger club. Our club is affiliated to Shiplake College and is off the beaten track. We operate under the guidleines of British Rowing and our coaches have a vast knowledge of the water. We hope to offer a fun whilst safe environment. Rowing is a great non-impact sport. Great for fitness and overall strength. Our stretch of the river is one of the most quiet, picturesque rural parts of the Thames with an abundance of wildlife. We run a programme of races for juniors and adults when the desire is there. We enter both head of the river and regattas. Viking rowing kit is available to members to buy when racing. Rowing is a great social sport relying on team work and amazing friendships are made by our juniors and adult members both at the club and at racing events. See the Shiplake Vikings in Action!